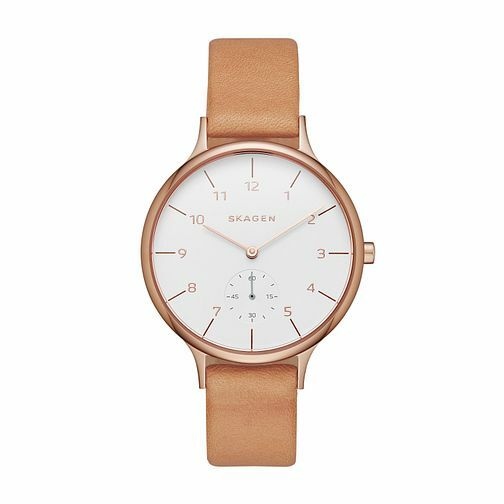 Embrace distinctive Danish design by Skagen. This chic ladies' brown leather strap watch is styled with a fresh white dial with seconds sub dial at 6 o'clock. Perfect for paired down contemporary sophistication.